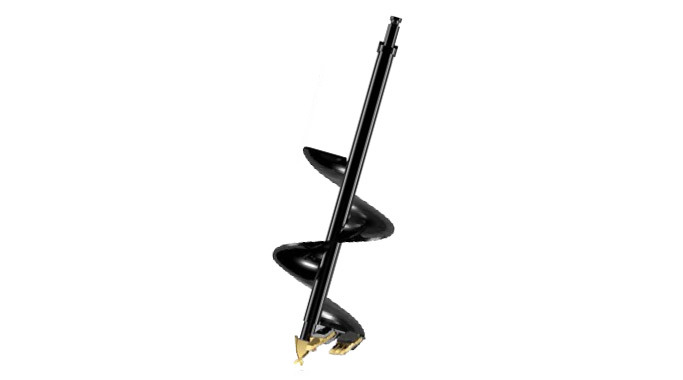 Our A1 augers are specially designed for post hole borers to drill in earth. Numerous teeth options are available for most ground conditions. Digga uses STIHL 2 man style hubs for our A1 augers to provide our customers a quality and reliable product. Heavy duty tube made from the highest grade steel for maximum durability. Dig holes in light earth conditions and clay. Proudly Australian manufactured. Providing quality products for over 30 years. Easy PADLOC knock in and out teeth require no special tools. * Optional longer augers to suit ‘ute’ mount little Digga’s. For pricing or more information about the Hand Borer Auger fill out the form and we&apos;ll be in touch soon. Alternatively call (08) 9457 1544.